These are testimonials that have been sent to us by our customer who have been happy with their Powertec and Ironmaster gym equipment. 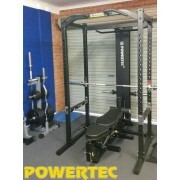 A lot of our customers are interstate so don't have the opportunity of seeing the fitness equipment before purchasing. So check these out before purchasing your gym equipment. Firstly I just wanted give a massive thanks to Dave from Tasmania for taking the time to write such a long and detailed review. Selling gym equipment online is a tough gig, for reasons which I will expand on below. 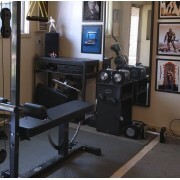 This sort of feedback is not only great for people looking to take the plunge into th..
Big thanks goes out to Duane for sending in a picture and detailed review of his Ironmaster gym. Duane pretty much nails what home gym life is all about. 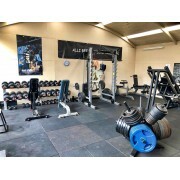 But first here is a picture of his pride and joy...Hi Sam,Attached is a photo of my gym. I have a large shed, but half of is gyprocked and makes ..
Big thanks to Ash sending in some pics of his new PT Studio set up. "Hey Sam & Matt,I have finished setting up the new kit. 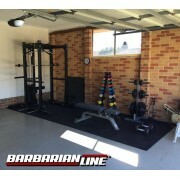 Here are some photos for you.Thanks heaps for the service and awesome kit, clients and I are gunna love it.Cheers guys!Ash"Often when we get Personal Trainers in the s..